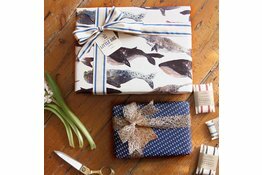 Each sheet is printed double sided with this design featuring anchors on one side and whales printed on the reverse. 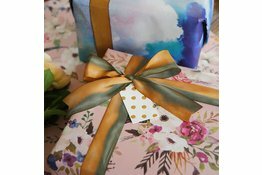 Resulting in a beautiful surprise when your package is opened by the lucky receiver of your gift! 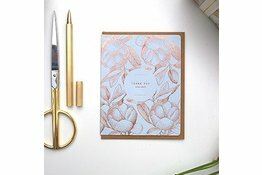 Each sheet is printed double sided with this design featureing a stunning hand drawn Australian native illustration on one side, and illustrated cockatoos on the reverse. Both illustrated by the talented Edith Rewa. 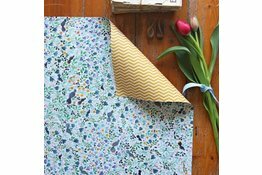 Each sheet is printed double sided with this design featuring blackbirds on one side and a mustard chevron print on the reverse. Resulting in a beautiful surprise when your package is opened by the lucky receiver of your gift! 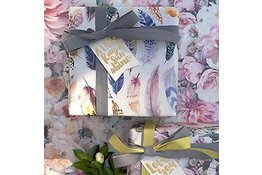 Each sheet is printed double-sided featuring stunning hand drawn illustrations by the lovely Edith Rewa. 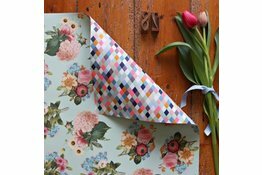 Each sheet is printed double sided with this design featuring floral bouquets on one side and neon diamonds printed on the reverse. Resulting in a beautiful surprise when your package is opened by the lucky receiver of your gift! 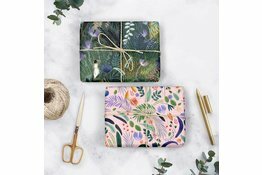 Each sheet is printed double sided with this design featuring a stunning hand drawn Jungle illustration on one side, and illustrated jungle study illustration on the reverse. Both sides illustrated by the talented Angela McKay. 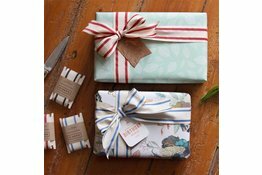 Each sheet is printed double sided with this design featuring mint leaves on one side and a honey cluster pattern printed on the reverse. Resulting in a beautiful surprise when your package is opened by the lucky receiver of your gift! 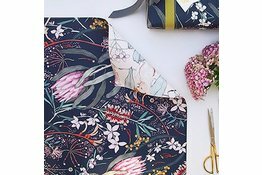 Each sheet is printed double sided with this design featuring a stunning hand drawn Australian native flora and foliage illustration on one side, and illustrated willy wag tails on the reverse. 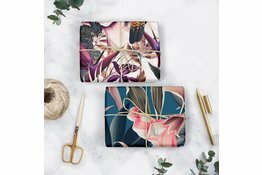 Both illustrated by the talented Edith Rewa. 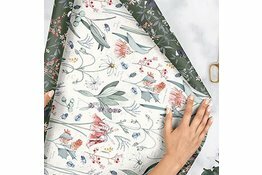 Each sheet is printed double sided with this design featuring a beautiful Peony floral design one side and watercolour feathers on the reverse. With thanks to Botanica Fresh Flowers for use of their beautiful florals. 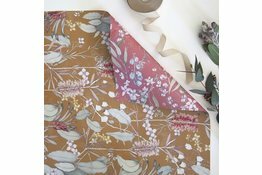 Each sheet is printed double sided with this design featuring beautiful watercolour texture on one side and watercolour florals printed on the reverse. 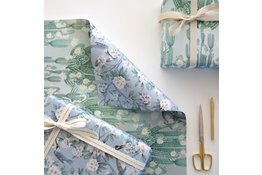 Resulting in a beautiful surprise when your package is opened by the lucky receiver of your gift! 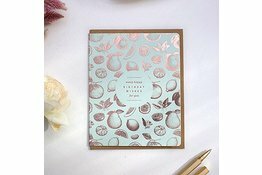 New to Bespoke Letterpress is our premium range of beautifully illustrated and hot foil printed letterpress greeting cards. 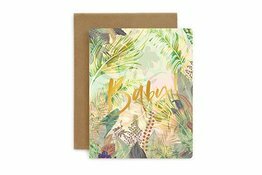 "Adore you" letterpressed in gold foil on a jungle printed coloured environmentally responsible stock. 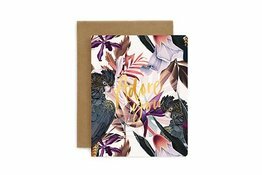 Featuring vintage Art Deco illustrations or patterns, these cards are printed in various hot foil combinations on our stunning vellum stock. 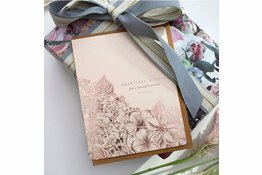 Each card measures 108x135mm in size (when folded) and includes an envelope. 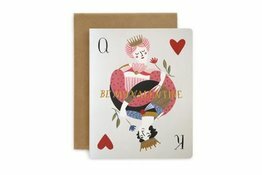 "Be my Valentine" illustrated by Meghann Rader. Offset printed with letterpress gold hot foil. Hand printed on Helga (one of the antique letterpress printing presses). 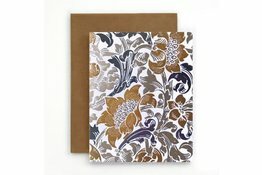 Each card is 108x135mm (when folded) blank inside and comes with a Kraft envelope. 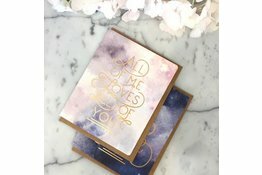 New to Bespoke Letterpress is the premium range of beautifully illustrated and hot foil printed letterpress greeting cards. 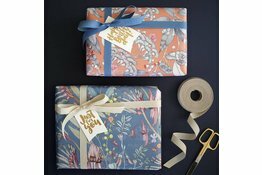 This design "Thank you very much" features gorgeous illustrations from our new Botanical range. 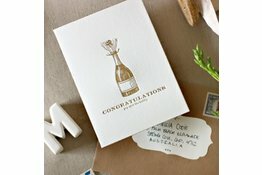 Letterpress Folded Greeting Card - "Congratulations, pop open the bubbly" printed in golden ink. 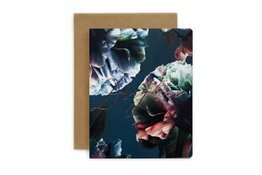 "Daughter" letterpressed in rose gold foil on a stunning floral background, printed on environmentally responsible stock.